Together with other EU countries, the UK has already access to global markets for coal and oil and, like its neighbours, and is now a net importer of both commodities. Markets for natural gas are also becoming increasingly global: Europe as a whole benefits from substantial past investment in East-West pipelines across the continent as well as in facilities to import liquefied natural gas (LNG), in particular in the UK and Spain. In addition, more interconnections between EU member-states are being built to eliminate ‘energy islands’. As a result, concerns about over-reliance of some countries on a single supplier, such as Russia, are gradually easing. Today governments throughout Europe face another challenge: ensuring secure supplies of low-carbon electricity at prices which are affordable for households and competitive for businesses. Although the level of physical interconnection between the UK mainland and other European countries remains low (at 6 per cent of installed electricity generation capacity compared with an EU average of over 20 per cent), the UK has been at the forefront of efforts to create a single European energy market. At the same time the UK has been among those EU countries that have pushed for action to reduce carbon dioxide emissions in order to combat climate change. EU and UK energy policies have therefore progressively focussed on these two objectives: more competition and low carbon energy. 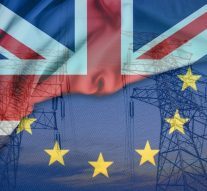 How Brexit will affect business and investment in the UK’s energy sector? It is obvious that until the results of the negotiations are known, there will be uncertainty. Uncertainty over the future character of the relationship between Britain and the EU will not of course be the only reason for delay or indecision over energy investments. There are other factors at play: the price of coal, oil and gas; policies to combat climate change; future prospects for renewable and nuclear technologies; and the development of more decentralised energy systems. But the post-Brexit framework for the financial sector and for capital flows between the UK and the EU will certainly have an impact on the readiness of EU-27 companies to invest in the UK energy sector. The UK has a political choice to make, which largely determines the business environment within the energy sector. It is the choice between a UK-only solution on the one hand or a solution involving interdependence with neighbouring countries (more inter-connectors and the acceptance of EU law) on the other. Under both scenarios, the objective will be to move towards a low- carbon economy. Outside the transport sector, this means more electricity generation and less use of fossil fuels. Within the transport sector, it means more electricity in passenger transport together with more use of gas in road freight and shipping. In the UK-only scenario, the UK authorities ‘take back control’. There will be no need to co-ordinate or co- operate with other European governments. Indeed, because Brexit will reduce the number of investors and suppliers in the UK energy sector, government (as opposed to the market) will inevitably play a bigger role in deciding where investment in electricity generation and networks should take place. New entrants (or new strategies by the existing utilities) may succeed in boosting competition on the UK market, but the wholesale price of electricity will be largely predetermined by government policy. Similar to the conclusions of the recent Competition and Markets Authority (CMA) market investigation, this could well mean that some form of retail price regulation (at least for vulnerable consumers) is inevitable. One potential driver of competition within the UK market could be imported LNG, but in the medium to long term; using a substantial amount of gas will not enable the UK to meet its decarbonisation goals. Otherwise, there will be a natural tendency to cover future national energy needs through investments in nuclear, with some offshore wind but no wider renewables portfolio. This will be costly but that would be the price of independence. It could well be to the benefit of domestic electricity generators and suppliers provided their relationships with government remain good. But energy-consuming firms will be at a disadvantage relative to foreign firms with access to cheaper electricity. This could be important if the intention is to revitalise British industry. The alternative option is to continue to integrate the UK energy sector more with those of its neighbours. It implies more interconnection with EU countries, such as France and Benelux, and with EEA countries such as Norway and Iceland. The more interconnections, the more potential there is for competition and new entrants and the less need there will be for heavy investments and government support for them. The larger the networks across borders, the more scope there is to deal with intermittency of energy supplies. As a result, there will be a wider spread of energy suppliers and an expansion of decentralised generation in renewables alongside nuclear and gas. The corollary of these advantages is that there has to be common rules and supranational bodies of some kind to police the common trading area. Neither of these options can be described in any way as calamitous. But there is no option that combines the advantages of both. The negotiations on the UK’s withdrawal from the EU are still ongoing. If only as a result of the constitutional arguments that have been put forward in the UK in favour of Brexit, there will be far-reaching changes in the governance of many sectors of the UK economy, including energy. But the shared fundamental objectives of climate and energy policy on both sides of the Channel still to point policies, of both the UK and the EU, leading to more integration and interdependence and not less. One does not need to be a eurofanatic to believe this. Brexit: a new reality before next EU elections? To Brexit or Not to, again?